Private investigators Joe Hooks and his ex-partner Kool-Aid do not always see eye to eye and often finds themselves approaching a mystery in different directions. Despite their differences they always get the job done. After twenty-three years of not knowing for sure if he was truly responsible for his father's death, private investigator Joseph Hooks decides to find out the truth. The search will open old family wounds and unbury secrets some would prefer to keep buried. PI's Joe Hooks and Kool-Aid have a package so important that it could literally change the world. Will it cost them their lives? While Joe protects Shanna from being pulled into a murder investigation (where she's the prime suspect); Kool-Aid also has his hands full after being hired by Minnie to keep her out of harm's way. One or both girls' might be keeping secrets from their protectors that could place all their lives in mortal danger. He exists in a world where legends, myths and fairytales aren’t fables, but history. On regular bases he cross paths with amoral immortal beings, evil time travelers, and dark creatures yet to be discover. Taurus often finds himself in trouble with these powerful beings. He does not cast spells--does not carry any lucky charms--and never relies on a well thought out plan to get out of a bad situation. Yet somehow he always finds a way out and because of that, he has made plenty of enemies. If you’re searching for a champion, look elsewhere, but if you need a mystical treasure found then Taurus Moon is your man. Hired by a vampire crime lord to locate ancient artifacts that would make the criminal a god, Taurus Moon and his friends embark on a treacherous journey for the artifacts. Things become complicated when another crime lord hires, Mika, a rival relic hunter, who has no qualms about killing the competition. In the search to discover why Gully’s magic has been intensifying for months the pair travels overseas in search of a supernatural relic that may help. 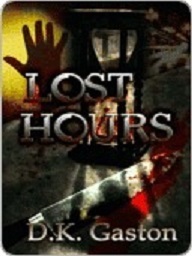 Instead of finding answers, they wind up saving the lives of a family from two vicious Lycans: Grimes and his daughter, Darla. The unplanned rescue propels them on an adventure where technology is nonexistence and magic is supreme. The Nightshift --Sergeant Gabrielle Morris first night with the Special Unit's team brings her directly into the world of the supernatural. After capturing Sinclair Hellmorning, a violent cult leader, she tries to interrogate him. Right before her eyes, Hellmorning disappears from the interview room. Professor Miles Coltrane is called to consult. Morris finds herself trapped in the middle of an impossible battle between the two men. Bound by a pact made to the devil 13 years ago, actor Jason Peters' contract has finally expired. With desperation born of fear, Peters tries to escape his fate. But the devil wants his due. When bounty hunter Avery Hudson unwittingly takes on the task of tracking Peters, he gets more than he bargained for. In his pursuit of the actor, Hudson encounters supernatural beings and is ravaged by hellish nightmares foretelling a future that may be predicting his death. Hudson has no choice but to follow the clues of his ill-fated dreams and pray he doesn't take any missteps that might cause those nightmares to become his reality. A billionaire seeks revenge against those he blames for the death of his daughter. Hudson once again must face-off with the demon Mr. Dark. The PANTHEON Foundation has spent billions to genetically enhance children who will either become the world's champions or its conquerors. Michael Quaid is not your average teenager—he has spent his entire life in captivity under the scrutiny of the PANTHEON Foundation. Now he has escaped into a world he doesn't know or understand. ​To survive he must depend on the help of a stranger and use his special abilities to fend off those trying to capture him. Where there's trouble, you can usually find Killian. Tasked with finding Michael Quaid, she will do whatever it takes to bring him back to the PANTHEON: Foundation.